Decorating for every season and holiday — you either do it or you don’t. I’m a don’t person. Besides Christmas, I tend to ignore changing out the decor around our home because the thought overwhelms me. Well, this year I am determined to change. I want to celebrate the changing seasons and not just pretend they don’t exist just because my kids don’t know how to read a calendar. 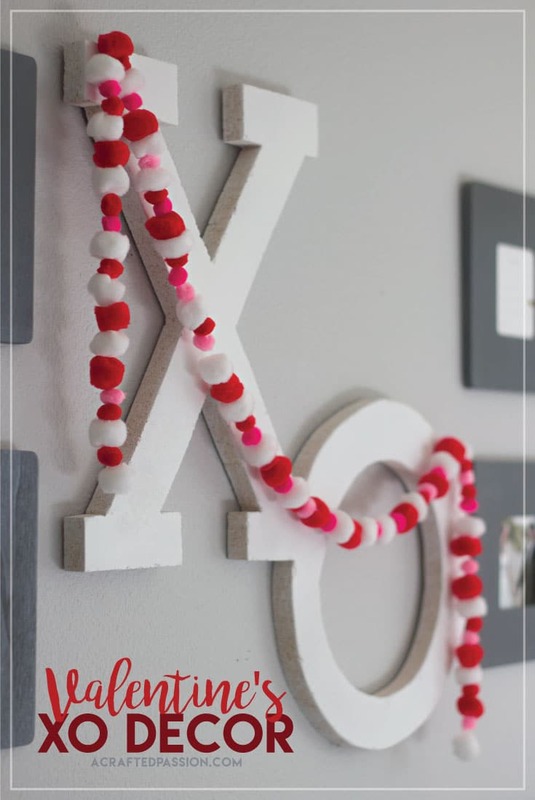 So we’re starting the year off with a good start and today I’m excited to show you how to make this easy DIY XO Valentine decor. Be sure to stick around to the end to see 40+ creative DIY Valentine’s ideas! When I started brainstorming what I could do for Valentine’s, I knew right away I wanted to make something for our bedroom. Our bedroom has turned into a sad, neglected room and has looked even worse since the toddler pulled some of the pictures off our wall above the bed a few months ago. I’ll let you in on a little secret, though…we’re planning to give our master bedroom a complete overhaul for One Room Challenge this Spring. Clara’s toddler bedroom makeover turned out so amazing it’s time for momma and daddy to get a pretty room too. But enough of that, let me show you how to make your own DIY Valentine’s decor. 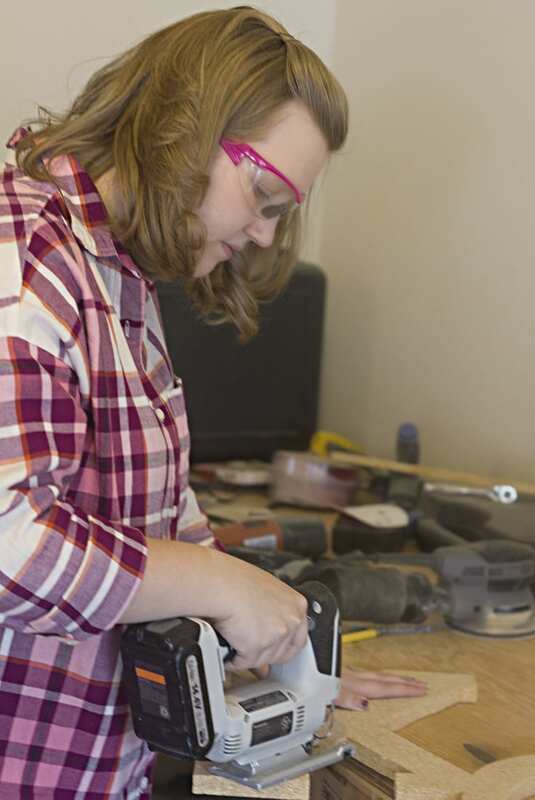 Sander or sandpaper — this is my favorite sander! 1. 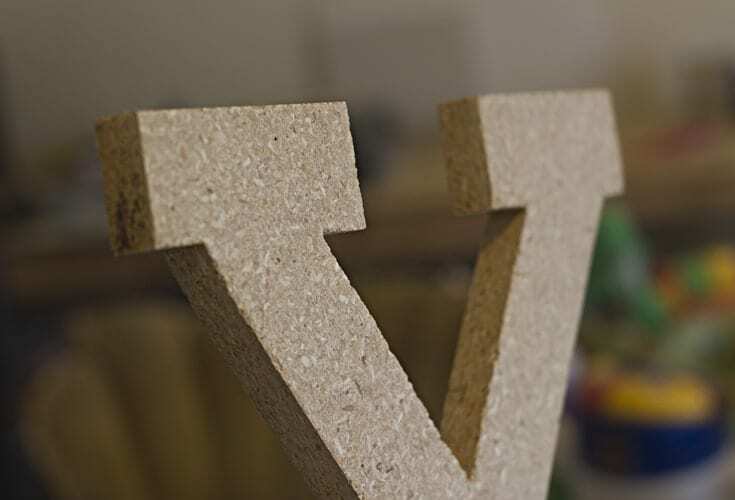 First, you’ll need to decide where you’re planning on putting your Valentine’s decor and what size it should be. My XO ended up around 2′ by 2′. 2. 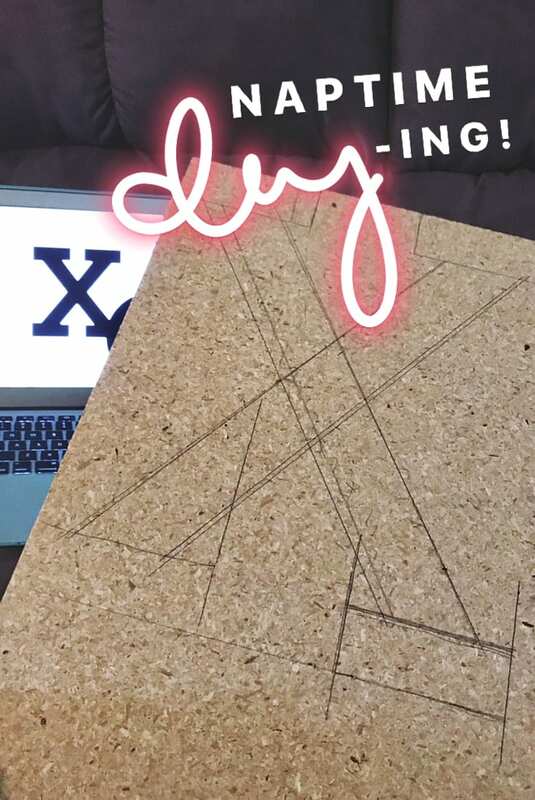 Unless you want to cut out your XO design from vinyl and put it on your board similar to how we did it for the giraffe growth chart, the easiest way to get your letter outlines is to type it on your computer, choose the font you want and then sketch it directly onto the wood. I suggest starting with your X. 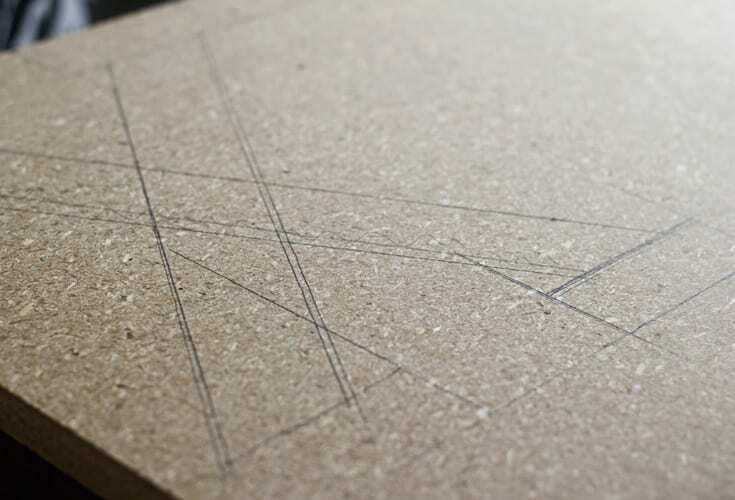 Once you have all your straight lines drawn, then it’s time to do the O. There are two ways to do this if you’re just freehanding it. 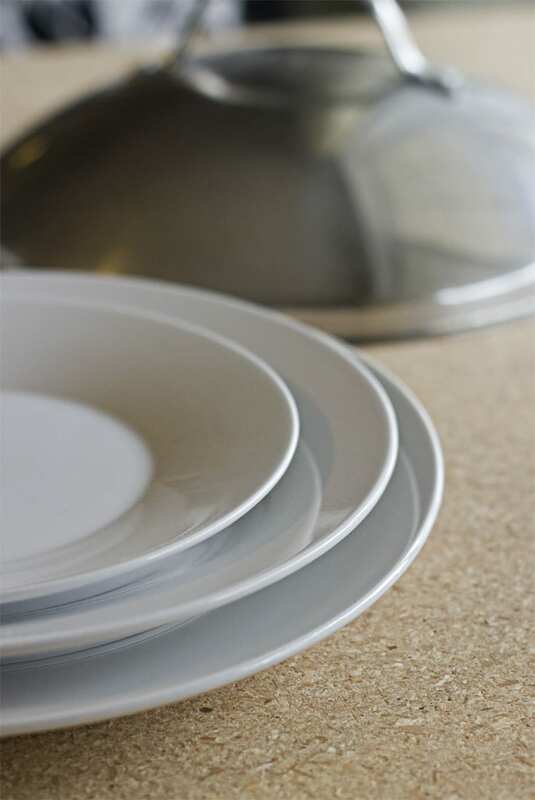 Head to your kitchen and grab a few different circle items. I grabbed three different sizes of circle plates and a saucepan lid and trace the closest sized circles. OR Put a thumbtack down where you want the center of the circle. Then, grab a string and tie two loops on each end. 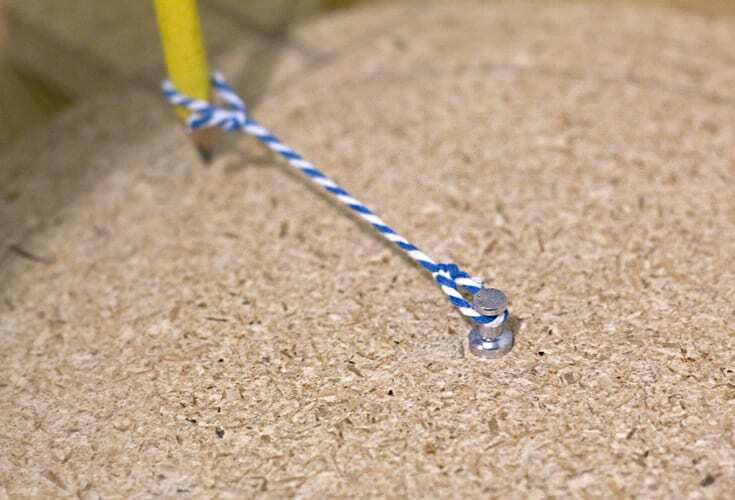 You can then use a pencil to draw your perfect circle with the string looped onto the thumbtack. 3. Next, it’s time to start cutting. Grab your jigsaw and cut out your shape. 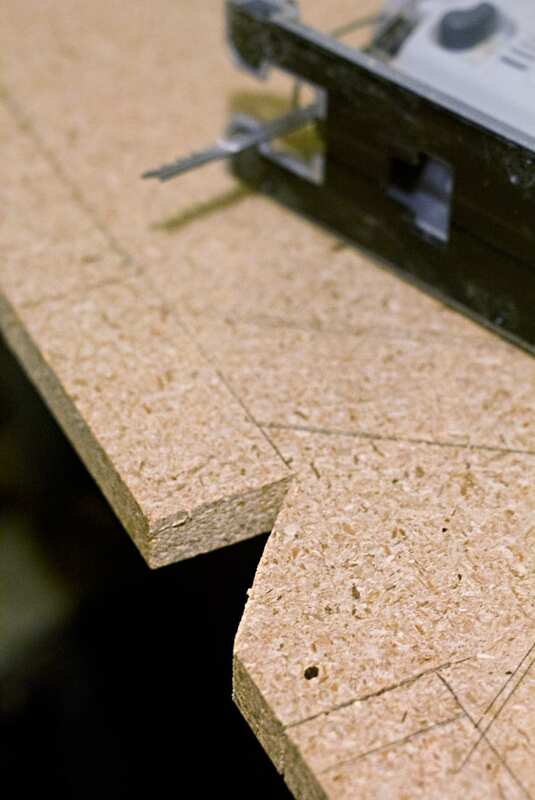 It’s easiest to start with all your straight lines and then do the O.
I use a Panasonic Jigsaw but this one is also great if you’re looking to add to your tool collection. 4. 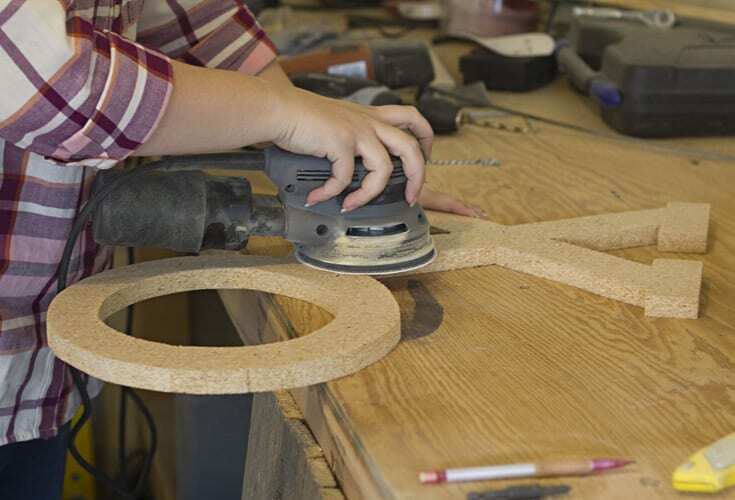 Once your shape is all cut, grab your sander (or sandpaper) and go to town cleaning up your work. 5. When you’re happy with your XO shape, paint it and then hang. I put three 3 command strips on the back and attached it to the wall above our bed. I love how it turned out and looks great right above our bed between some of our wedding photos! 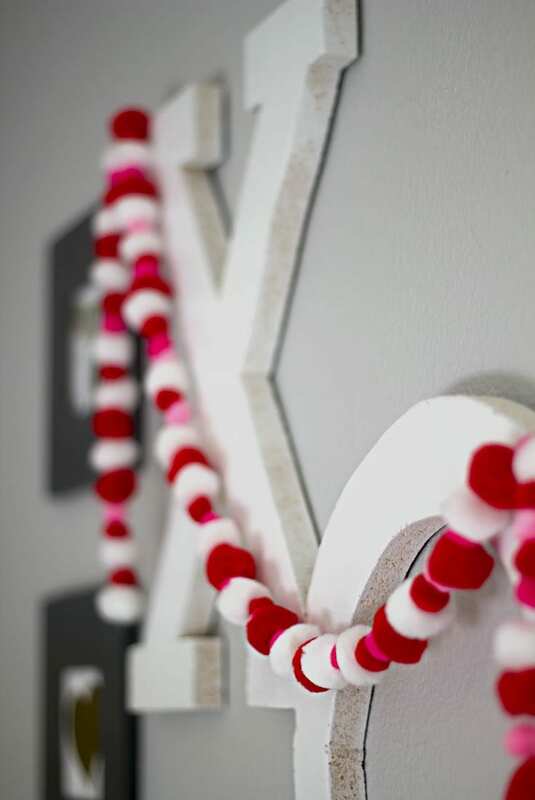 Even though our signature style does not include pops of color, I figured we needed just a little pizazz to brighten up our new Valentine’s decor. P.S. 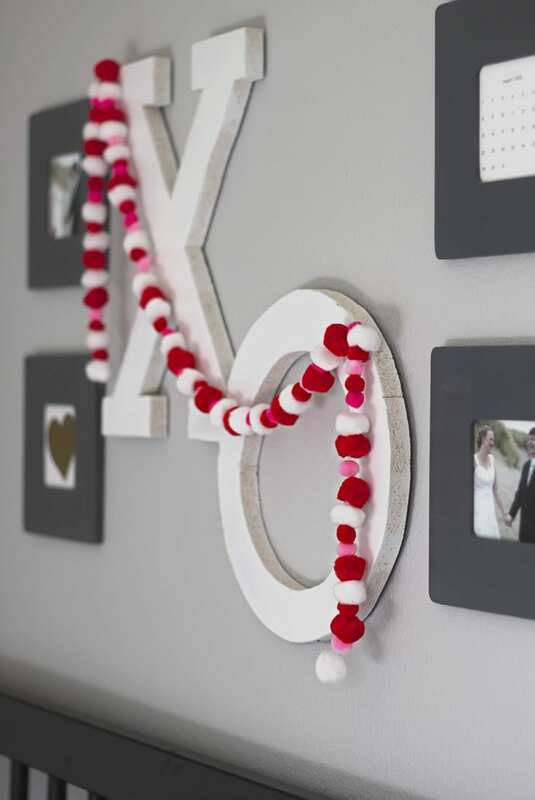 To make your own simple pom garland, just grab a few different sizes of pom poms in different colors from your local craft store and then string them together with fishline and a needle. Or you can grab them from Amazon right here. It turned out so cute and was so simple to make! 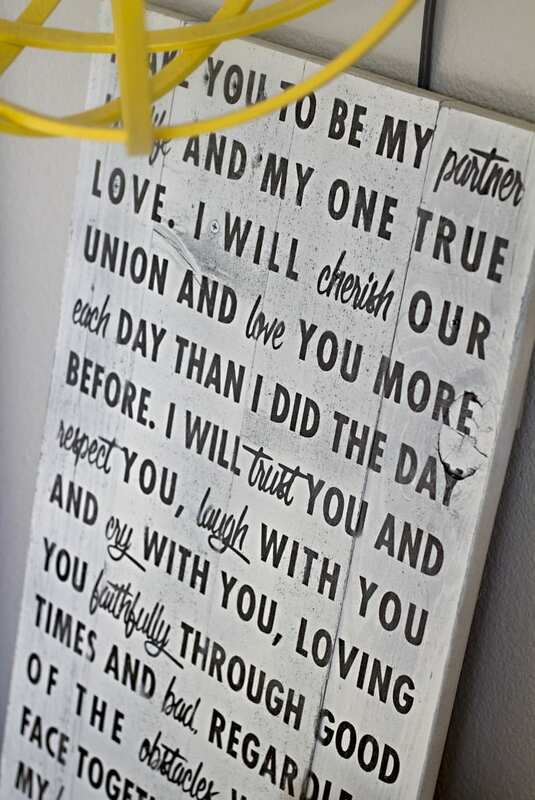 Since everything will be changing in our bedroom in a few months, I thought I’d share one last time our wedding vows sign I made a few years ago and how you can make your own. This would make a great Valentine’s gift! Find the tutorial here. Are you ready to be even more inspired? 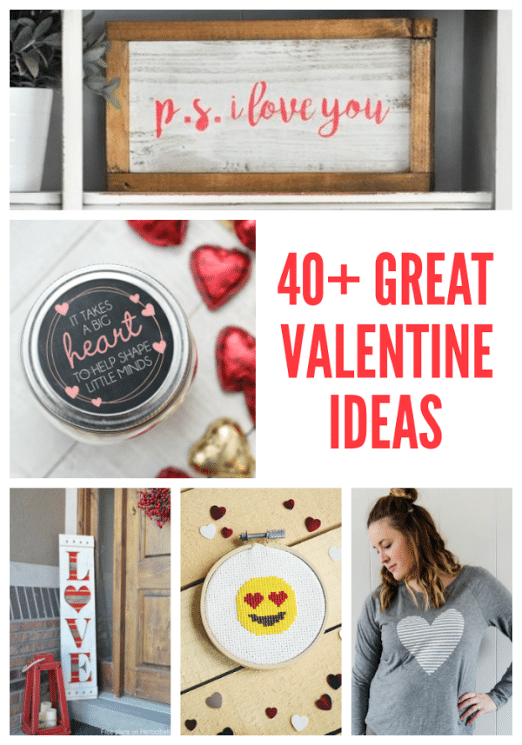 Like I mentioned at the beginning, I’ve teamed up with 40+ talented ladies to give you many creative Valentine’s ideas. Check out the links below! Such a cute project! Thank you for sharing as part of the blog hop. I love these and love the way you used the felt balls with it too!